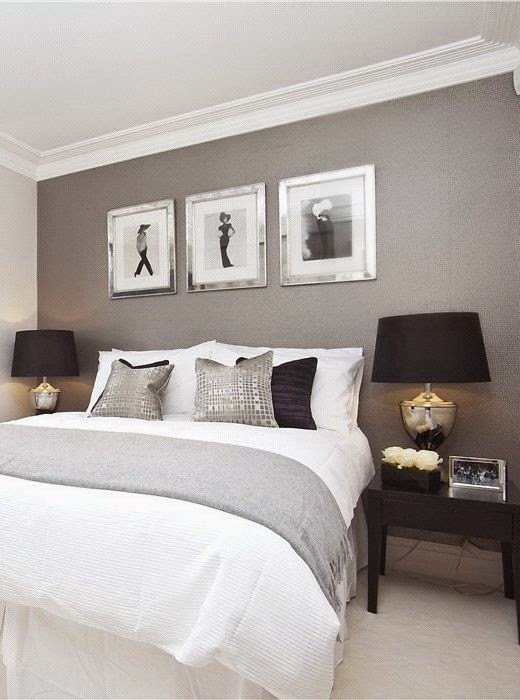 I've been looking for a bit of bedroom inspiration as I'm hoping to do some re-decorating of my own bedroom very soon, and we all know the place for inspiration don't we? Pinterest of course! I really like the white and grey colours at the minute with lots of textures thrown in and bits of silver for added sparkle and bling! I love the white/grey with the black as well, giving a real sophisticated feel. 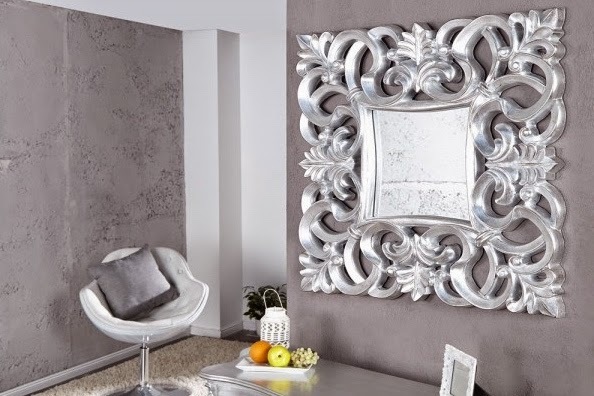 The white and grey combo is gorgeous but I think I will definitely use black in there too to give my room that extra bit of oomph! I'm no interior designer but I do know what I like and it's more often than not modern and contemporary. I love the clean lines achieved with the Ikea Malm range below. No mess or dirty coffee cup rings here thank you very much! Colours chosen, now to accessorise! Perfection lies in this white tray here. 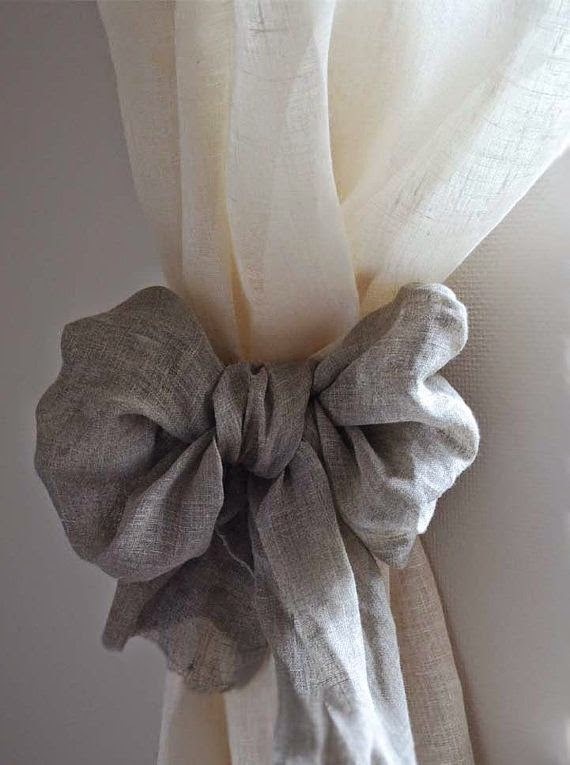 I love neutral tones in a room as it so easy to chop and change accent colours whenever you feel like it, with cushions and throws and I especially love these drapes with the tie backs as you can change the colours of the bows to match whatever colour you choose for your room. Lot of cushions are needed in the bedroom. It's where we chill and relax after all so lots of comfiness is needed! 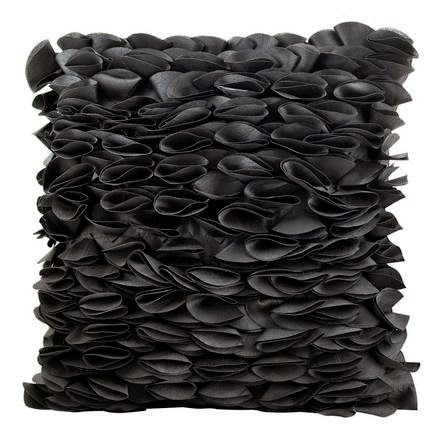 These little 'full of texture' beauties are available from Dunelm. Aren't they just gorgeous? Available in various colours too. 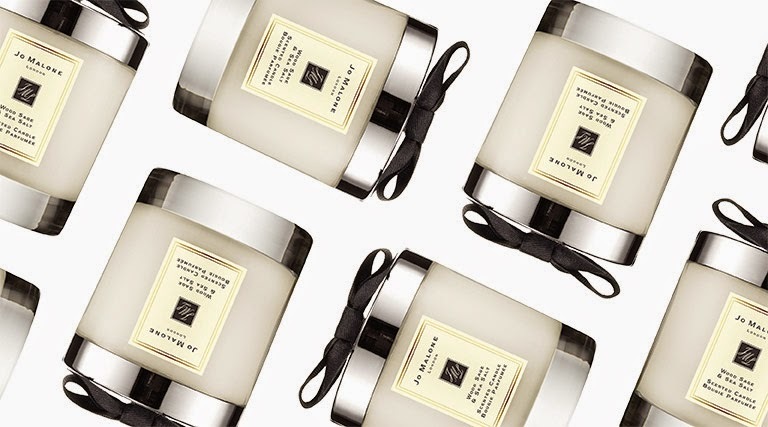 And a bedroom wouldn't be cosy at all without an exquisite candle or two would it? You can't beat a lovely candle to help you relax or set the tone if you get my drift! Get yourself a Jo Malone one or try one of the Aquiesse ones. I have the white grapefruit which is probably not ideal for the bedroom, you don't want your senses awakened do you, you're there to relax, so choose a soothing fragrance, they have lots, and you know what they say, whoever, 'they' are, it pays to buy quality, and that certainly goes for candles too. I love this room, it's very french chateau looking. The floor is to die for and I just want to curl my toes in that sheepskin rug! 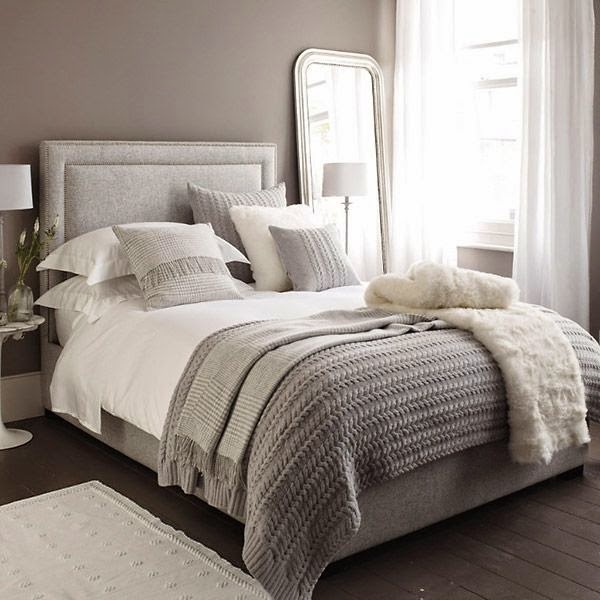 I'd like the addition of sheepskin rug in my finished room for that bit of texture on the floor and I quite fancy the slate grey one from Not on The High Street.com. Oooh just imagine the cosy, snuggly warmth when you wriggle your toes into that on a cold and frosty morning. 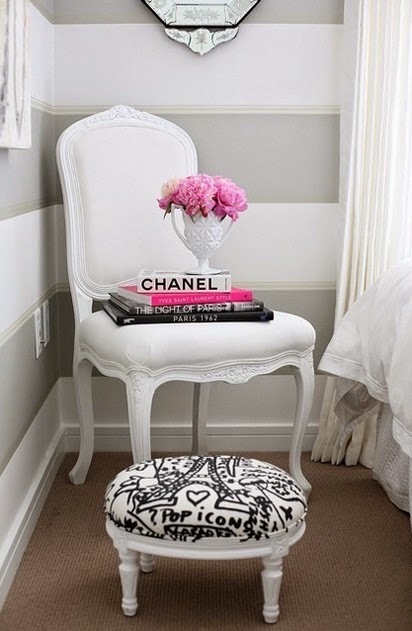 If I actually end up with the bedroom that's being planned in my head (and on Pinterest) I'll never want to leave it! 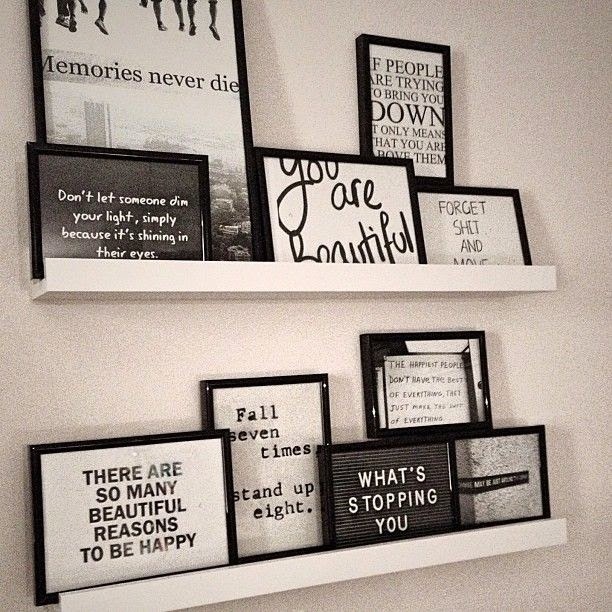 We've already got some of the Ikea picture rails around the house, yes I'm an Ikea lover, but I think some would look rather nice in the bedroom to display some inspirational quotes in frames like these ones, something to get you motivated as you're dragging your feet getting dressed every morning. Now I'm not averse to a little bit of colour you know, currently in the bedroom we have plum accent shades with white bed linen and a bit of plain old beige and chocolate brown dotted here and there. Still keeping with the grey/white/black theme that I so love, I'm drawn to hints of other colours too, like the pop of pink in the shot below. And also the yellow shown here with the grey and white. 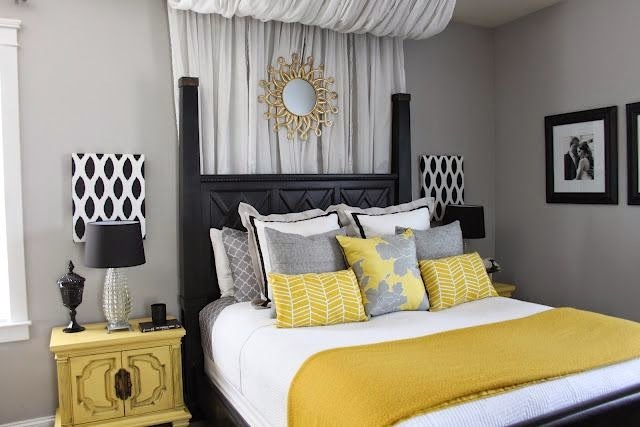 I like the yellow colour actually, I mean I wouldn't have it in the lounge but it works in the bedroom, and again I wouldn't go as far as having any coloured bedrooms units, you certainly can't change them as the mood takes you, but throws, cushions and small decorative items you most definitely can. 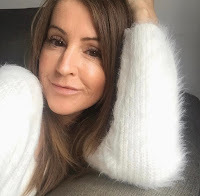 All of the above is quite easily achievable and I will of course keep you updated on my re-vamp (when it happens) but are you ready for the biggest daydream of all? That one day I'll have a dressing room just like this!!!!! Hey, ya gotta dream big girl! Pinterest is such a great source for ideas and inspiration, you really should take a look if you've not already, you'll be amazed at what you can find on there. [ Smiles ] Steph, those are some rather beautiful beds. I truly enjoyed this post of yours.